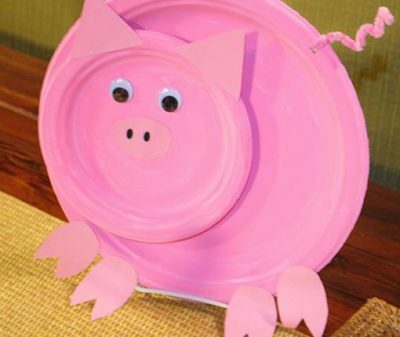 A pink dinner plate and a pink dessert plate make the body of this adorable pig! Use construction paper or craft foam for additional features, then add eyes and a curly pipe cleaner tail. This would be a wonderful preschool project during a study of the letter P.
Darling. Easy to do. I am going to try this little pig with my first graders.